The highly popular Korg Volca series sees two new exciting additions to its lineup – The Volca Drum and Volca Modular. The Volca Drum is a digital percussion synthesizer based around an incredibly flexible internal DSP engine. The Volca Drum boasts six parts, each consisting of two layers – which can be oscillators or noise sources. 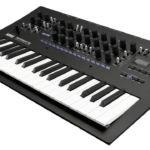 Each of the parts has a dedicated step sequencer, with motion control for automating up to 69 of the internal parameters. The new addition to the Korg Volca series has the ability for each of the six parts to have a unique FM setting, due to each one having two internal oscillators. The Volca Drum has various internal effects, from “Slice” for creating beat-roll effects, a resonant filter and a physical modelling resonator, that’s basically a delay with such precision increments that it’s able to create everything from traditional delay and reverberation effects to entirely new tones. 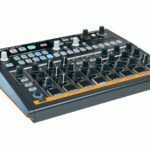 The new Korg Volca Drum has an intuitive LCD display for all the parameter displays when you need them, the sequencer has 16 levels of assignable accent triggers and its capable of creating polyrhythmic sequences. This is FAR more than just a drum synthesizer, it’s a powerhouse. Korg has a very rich history with synthesis, particularly semi-modular synths. 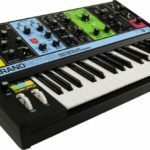 The Korg MS-10 and MS-20 were legendary and presented an incredibly affordable solution for getting into modular synthesis, at a time when the closest solution would set you back the price of a car. Last year marked the 40th anniversary of the Korg MS-10 release, and what better way to pay homage than with a new semi-modular synth release. This time introducing a host of modern features and built into the ever-popular Korg Volca format. Enter Korg Volca Modular. 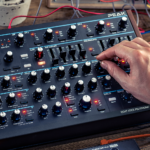 The new Korg Volca Modular takes its core inspiration from the west-coast synthesizer designs of Buchla and the likes. It boasts two oscillators, with analog FM and 50 patch-points for all your patching requirements. The Volca modular features a “woggle” section for random modulations, a dual low-pass gate section (think Filter and VCA combined), wavefolding and various other modulation capabilities. There’s also an internal reverb effect for adding that extra touch, making the Korg Volca Modular the perfect affordable and compact standalone semi-modular system. It features a 3.5mm CV input for connecting up to other modular gear. The Korg Volca Drum is set to retail at USD $149 (Around R2000 excl. 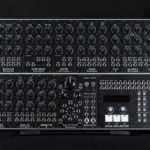 duties) and the Volca Modular at USD $199 (Around R2800 excl. duties). 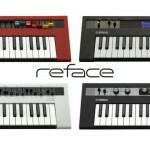 For more information check out Korg’s website.